Shortly after the formation of the President’s Council on Jobs and Competitiveness in January 2011, a subcommittee on entrepreneurship was convened to examine more closely the role of high growth enterprises and startup businesses in boosting employment and economic growth. This group, which I chaired, worked with McKinsey & Co. to compile and examine research focused on the impact of new, high-growth companies, and we met with dozens of experts in business, academia, labor, and state, local, and federal government. We reported our findings and recommendations to President Obama during a Jobs Council meeting in October of 2011. The overarching goal was to identify, vet, and propose specific policy prescriptions and action steps for the White House, Congress, and the private sector, which, if enacted, would improve the environment for entrepreneurs to start new businesses and expand existing high-growth companies in the United States. Two years later, this “report card” summarizes the progress achieved to date on those recommendations, and outlines remaining steps that should be taken if the United States is to retain its lead as the world’s most entrepreneurial nation. The story of America is in many ways the story of entrepreneurship. The United States is not the leading economy in the world by accident — it was the result of entrepreneurs creating new companies and often entirely new industries that propelled our nation’s growth. Indeed, our country’s most iconic companies and revered cities were built by pioneering men and women who took a chance on a dream to start a business. Often those dreams were converted into storefront shops on Main Street, but every once in a while an entrepreneur with a big idea hatched a business that disrupted an industry, or created an entirely new industry, and as a result created large numbers of jobs while also invigorating the economy and inspiring the world. The data backs this up: during the last three decades, companies less than five years old created 40 million American jobs — almost all of the net new jobs created during that period. At the aggregate, large “Fortune 500” employers and small “Main Street” businesses help us maintain existing employment levels, but startups create new job opportunities and much of the private sector’s innovation. And a subset of startups — high-growth enterprises called “gazelles” — have proven to be particularly important, as they have been the primary creator of jobs and growth. In recent years, however, startup activity began faltering in the United States. New company formation was down by a quarter, entrepreneurs were adding fewer jobs than they have historically, public offerings were down for small and medium-sized companies, and capital was slower to reach high-growth enterprises. At the same time, other nations moved aggressively to attract talent and capital, with the goal of dislodging America as the world’s most entrepreneurial economy. In this context, the subcommittee on high-growth enterprises made a series of recommendations to improve the environment for entrepreneurial companies. Some of those recommendations relating to capital, regulatory, and tax changes were acted on and signed into law; others relating to high-skilled immigration and longer-term tax policy have been introduced by Congress but have not yet become law. And additional steps are being taken at an administrative level. This “report card” summarizes the work that has been completed to date, and lays out a roadmap for work that remains. Research indicates that 90 percent of job creation for public firms occurs after they go public, but a host of regulations created during the early 2000s imposed disproportionate burdens on smaller companies trying to conduct Initial Public Offerings (IPOs). Moreover, the share of IPOs smaller than $50 million fell from 80 percent in the 1990s to 20 percent in the 2000s. Thus, the subcommittee recommended rightsizing the effects of the Sarbanes-Oxley Act by creating an IPO on-ramp that mitigates the unintended impact on smaller, high-growth firms that are seeking to access public capital markets while also protecting the overall stability of the financial system. This would contribute to job creation nationally as more companies go public instead of pursuing alternative exits. President Obama expressed his support for this IPO on-ramp recommendation and the measure was included in the Jumpstart Our Business Startups Act (JOBS Act) that was passed with bipartisan support in Congress and signed into law in April 2012. The Emerging Growth Companies section of the JOBS Act permits smaller and medium-sized companies to provide two years of audited financials instead of three, file IPO registration on a confidential basis so long as a public filing is made at least 21 days prior to the offering road show, and hold meetings prior to filing the registration statement without being subject to pre-offering restrictions. Although the JOBS Act became law just nine months ago, already dozens of emerging growth businesses have taken advantage of these reforms. Over time, this trend is likely to accelerate, as boutique investment banks (which largely disappeared after a wave of bank mega-mergers) emerge to cater to the needs of emerging growth companies and their desire to go public at earlier stages (thus raising less capital). We applaud the President and Congress for leading on the issue and believe that the IPO on-ramp provision will enable more emerging growth companies to achieve their full potential to grow as independent, well-capitalized companies. The majority of America’s high-growth startups are not technology companies and they are not in Silicon Valley. The entrepreneurs behind these companies often struggle to raise capital as they are “off the beaten path” for traditional early stage investors, but not yet stable enough for bank loans. The ability to use the Internet to raise small amounts of capital from a large number of individuals — in the form of equity or debt — could go a long way to helping launch and grow startups that are often overlooked because of their geography, sector, or lack of connections. Because securities-based crowdfunding could be a significant new source of financing for startups to grow and hire, the subcommittee called on the White House and Congress to pass legislation granting this new exemption for entrepreneurs, while also protecting investors. President Obama was supportive of securities-based crowdfunding, as was the Congress which passed the measure with broad, bipartisan support. The JOBS Act permits a startup to sell up to $1 million worth of debt or equity to a large number of small investors during a 12-month period, with individual investors capped based on annual income or net worth. Overall, this new pipeline of financing will ensure more businesses have the capital they need to expand, innovate, and hire workers. The subcommittee calls on the SEC and FINRA to expedite the rule-writing process and ensure it does not undermine the intent of crowdfunding by making it too burdensome for platforms to form and investors to take part in supporting new businesses. Additionally, the subcommittee calls on the White House to effectively implement the crowdfunding exemption once the law takes effect. President Obama also called for raising Regulation A mini-offering limits from $5 million to $50 million which was another key capital provision of the JOBS Act supported by the subcommittee. This change allows a simplified filing procedure for startups while ensuring transparency to investors. The President’s support, coupled with Republican and Democratic leadership in Congress, helped ensure passage of the Regulation A changes. Included in the 2009 American Recovery and Reinvestment Act was a 75 percent exclusion on capital gains from qualified small business stock held for at least five years. Subsequent legislation in 2010 and 2011 raised the exclusion to 100 percent for stock purchased prior to January 1, 2012. The subcommittee was pleased to see a one year extension of the 100 percent exclusion as part of the fiscal cliff compromise. We believe this is smart policy: incentivizing long-term investment in startup companies by lowering the capital gains rate will result in more early stage financing for new businesses to grow, innovate, and hire. Currently, investors face uncertainty each year as Congress decides whether to increase or decrease long-term holding rates. Thus, to ensure more capital flows to new businesses, we call on President Obama and Congress to extend permanently this measure. Perhaps the simplest and most common-sense policy prescription that would improve U.S. competitiveness is to reform our nation’s high-skilled immigration laws. Forty percent of Fortune 500 companies in the United States were started by immigrants or the children of immigrants. Almost half of Silicon Valley startups in recent years have immigrant founders. Research indicates that from 2000 to 2007 every 100 additional foreign-born workers in STEM jobs created 262 additional jobs for native U.S. workers. The data is clear: talented engineers, mathematicians, and scientists who receive world-class educations at our great universities — often with subsidies form U.S. taxpayers — are net creators of jobs and innovation for our country. From Dupont and Google and Honeywell to Instagram to Chobani, throughout our history, high-skilled immigrants have given the United States an entrepreneurial advantage. That advantage is slipping away. Thousands of American degree-holders in STEM fields leave our country after receiving a Masters or PhD to start or join competitor businesses in competitor nations. In 2010 alone, 60 percent of PhD graduates in computer science were foreign nationals. Instead of “stapling” green cards to the diplomas of STEM graduates, we in effect kick out talented innovators. Meanwhile, China, Germany, Singapore, and Canada are making it easier and more attractive for talented immigrants. Australia issues as many high-skilled visas as the United States, despite having a population 14 times smaller. Sensible proposals are on the table: the bipartisan Startup Act 2.0 would eliminate the per-country cap for employment-based visas, create a new STEM visa category and an entrepreneur’s visa for legal immigrants who start a business. More recently, a STEM Job Act was introduced in the House, and the Immigration Innovation Act (I-Squared) was introduced in the Senate. The subcommittee calls on President Obama and Congress to take steps to ensure that high-skilled visa reform be a core element of the pending comprehensive immigration reform legislation. The Small Business Administration has provided early funding for a range of American companies, including Staples, Apple, Costco, and Under Armour. The SBA’s programs can increase the flow of capital to startups by reducing the risk for lenders and investors. In October of 2011, the subcommittee recommended that the Administration take action to streamline and shorten application processing with published turnaround times, increase the number of full-time employees who perform a training or compliance function, support permanent Congressional reauthorization of the Small Business Innovation Research and Small Business Technology Transfer, and create a one-stop-shop for owners through an online portal. On the latter, the White House launched BusinessUSA to serve as a one-stop-shop where small business and exporters of all sizes can easily learn about federal programs, services, and opportunities within agencies across the government. This represents important progress, and the subcommittee calls on the SBA to continue to sharpen its focus on the needs of the high-growth “gazelle” segment of businesses. While the most impactful talent proposals require Congressional action and White House support, the Obama Administration has made progress in administrative reforms around high-skilled visas and STEM. Recently, the White House launched Entrepreneur Pathways for immigrant entrepreneurs. Administered by the U.S. Citizenship and Immigration Services (USCIS), this new online resource provides a simple way to navigate startup opportunities and grow a company here in the United States, while also explaining which existing visa categories are available to a given entrepreneur under current law. We applaud this step, and we call on the Obama Administration to increase marketing and awareness building of the Entrepreneur Pathways resource to all incoming immigrants. Additionally, the White House is implementing the first-ever online processing system allowing for the electronic filing and adjudication of immigration benefits for the immigrant investor visa program. As a result, the government anticipates a 2,000 person increase in EB-5 visas in Fiscal Year 2012 as compared to 2011. Just as we work to win the global battle for talent, it is equally important to guide as many American students into STEM fields to prepare our workforce for a competitive, 21st century economy. The Obama administration — through recommendations from the Jobs Council — has promoted STEM education for American students by announcing a STEM Masters Teacher Corps, a national network of 10,000 top public school STEM teachers to model best practices and share strategies. The White House has committed $1 billion in Fiscal Year 2013 to build the Corps and $100 million of existing funds to help identify, leverage, and develop the best STEM teachers. Critical to any entrepreneurial ecosystem is an efficient patent system that quickly and fairly rewards newinventions. At the October 2011 Jobs Council meeting, the subcommittee on high-growth entrepreneurship called on the White House to effectively implement the America Invents Act as we transition from a “first to invent” to a “first inventor to file” system, streamline the patent review process, and make it easier for universities to commercialize technology. While careful implementation is still important before the America Invests Act is fully in effect in March 2013, the Patent Office has made noteworthy efficiency gains. Specifically, the office has reduced time from application to initial patentability determination by almost 40 percent and backlog by more than 100,000 compared to the year President Obama took office. Moreover, the office has implemented an expedited review for fee program processing more than 4,600 petitions with 40 percent from smaller entities. We applaud this progress. Additionally, in October of 2011, the subcommittee called on the President to help build bridges between researchers and entrepreneurs so that more breakthrough ideas can move out of national labs and universities into the commercialization phase. This effort should continue to be a high priority for the Administration. The President’s Council on Jobs and Competitiveness has played an important role in highlighting the central role entrepreneurs play in creating jobs, jumpstarting economic growth, and maximizing competitiveness. We think it critical for the White House to have an ongoing policy dialogue with those involved in building, investing in, working in, and otherwise connected to, startups and high-growth enterprises. The Startup America Partnership is a good bridge between the public and private sectors in offering support for startup regions, and plays an important role — but policy matters are not part of its agenda. The National Advisory Council on Innovation & Entrepreneurship (NACIE) has been a source of a range of recommendations regarding celebrating entrepreneurship, improving access to capital, and promoting commercialization of technology, but it lacks the visibility and the platform of a high-profile White House council. To continue the momentum during the coming years, we recommend that the White House maintain an advisory body focused on bolstering entrepreneurship — either by moving the National Advisory Council on Innovation and Entrepreneurship into the White House, or establishing a new committee of outside advisors focused on entrepreneurship, innovation, and economic growth (for example, a President’s Council on Innovation and Growth). Despite a difficult political climate, substantial bipartisan progress was made during the past two years to improve the environment for entrepreneurs to start and scale businesses in the United States. The President’s early support of the capital and regulatory proposals that ultimately became key components of the JOBS Act was critical to winning support in Congress. So too were the leadership efforts of Republicans and Democrats in the House and Senate, including Majority Leader Eric Cantor. The JOBS Act will help more startups obtain the capital they need to get started, and help speed-up companies get the capital they need to expand. At the same time, important work remains before the White House and Congress. Reforming our high-skilled immigration system so that the United States wins the global battle for talent must be part of a comprehensive reform package. The White House and Congress should also make permanent the capital gains exclusion for long-term investments in qualified small businesses so that more capital flows to new businesses. These proposals, coupled with effective JOBS Act implementation and continued Administrative action to continue streamlining the U.S. patent system, the process of commercializing technology, and Small Business Administration programs, will serve to strengthen America’s entrepreneurial competitiveness in a 21st century global economy. Throughout our history, entrepreneurs starting and building iconic American companies have lifted our country out of difficult economic times. As we emerge from what has been a particularly difficult economic period, it will be the men and women taking a risk on a new business who will lead our nation forward. By taking the remaining steps outlined in this “report card,” President Obama and Congress can further spur job creation, jumpstart economic growth, and ensure the United States remains the most entrepreneurial nation in the world. 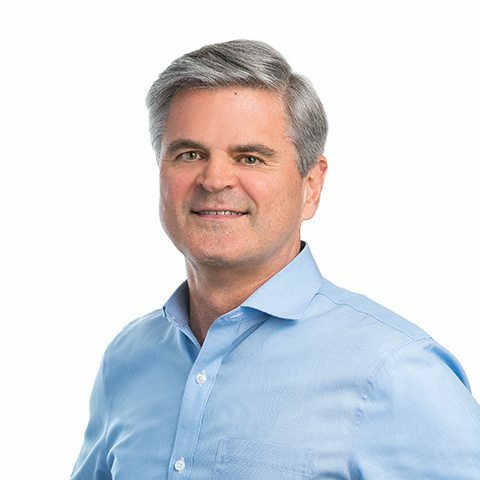 Steve Case is the Chairman and CEO of Revolution LLC and the co-founder of AOL. He chaired the entrepreneurship and high-growth enterprises subcommittee of the President’s Council on Jobs and Competitiveness. He is also the Chair of the Startup America Partnership, and the co-chair of the National Advisory Council on Innovation & Entrepreneurship (NACIE).